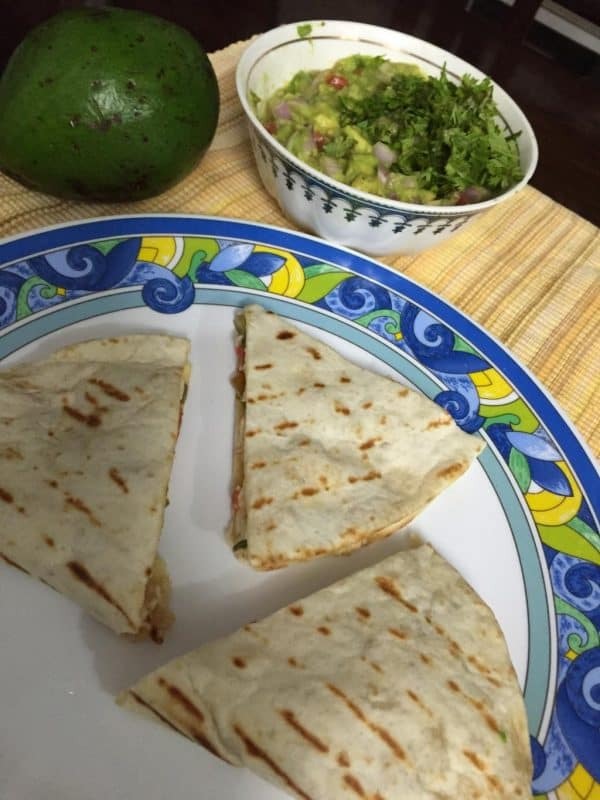 Just ripe enough avocados at Namdhari Fresh today were the inspiration for this easy Quesadilla stuffed with paneer (Indian cottage cheese), accompanied by guacamole made shortly before serving dinner. 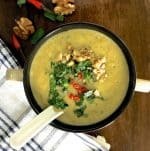 Delicious and healthy too! Packets of tortillas are available in most supermarkets in India, and that is what I have used, though I do plan to start making my tortillas from scratch, soon! The Paneer Quesadilla was actually an afterthought as I had first planned to make spinach and corn Quesadilla, but I’m so glad I tried it out! Paneer is not something I would associate with quesadilla accompanied by guacamole. 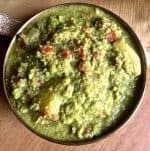 I had made the guacamole and was about to prepare the spinach corn stuffing, when I realised that the fresh paneer sitting in the fridge needed to be used up as I was travelling the next day. I made one quesadilla with some trepidation, and it was melt-in-the mouth delicious! The Guacamole is easy to make too, so long as you have fresh ripe avocado available to you. 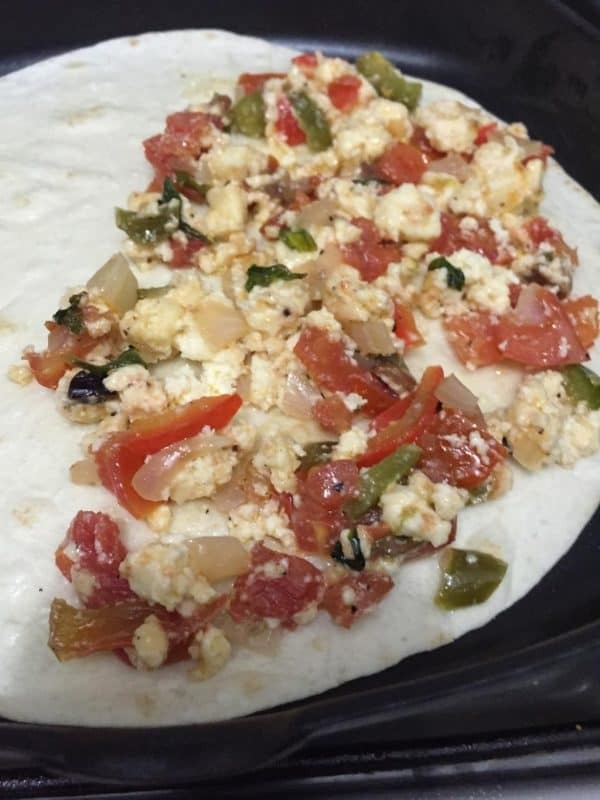 Next time I make the Paneer Quesadilla, though, I might make a red pepper and tomato salsa rather than guacamole. Will let you know which one tastes better! To make the guacamole : Choose an avocado that is not overripe or raw either. If it is still green but gives in when you press the surface, it should be just right. Roughly chop the onion, and jalapeño. 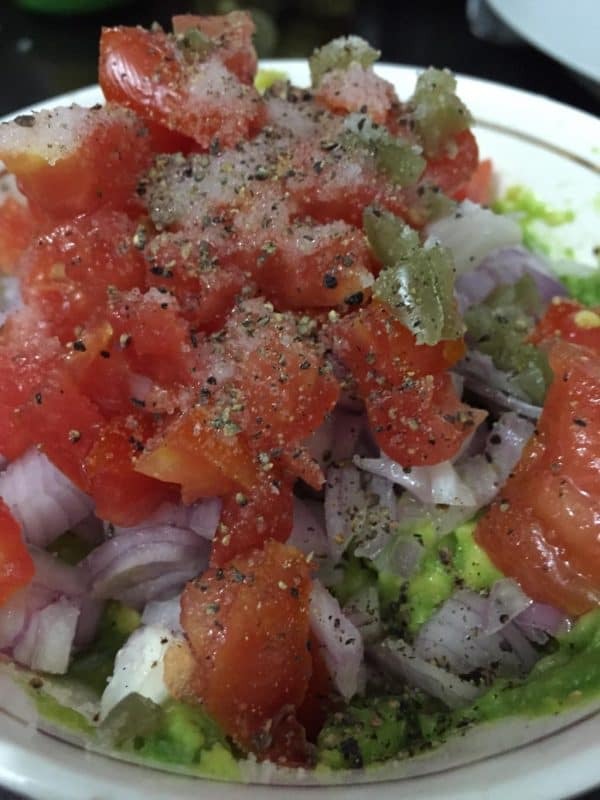 Reserve the tomato and coriander leaves and chop them when you getting the guacamole ready to serve. Pit the avocado and scoop out the pulp. Taste a small piece to check that it tastes good and is not bitter or unripe. 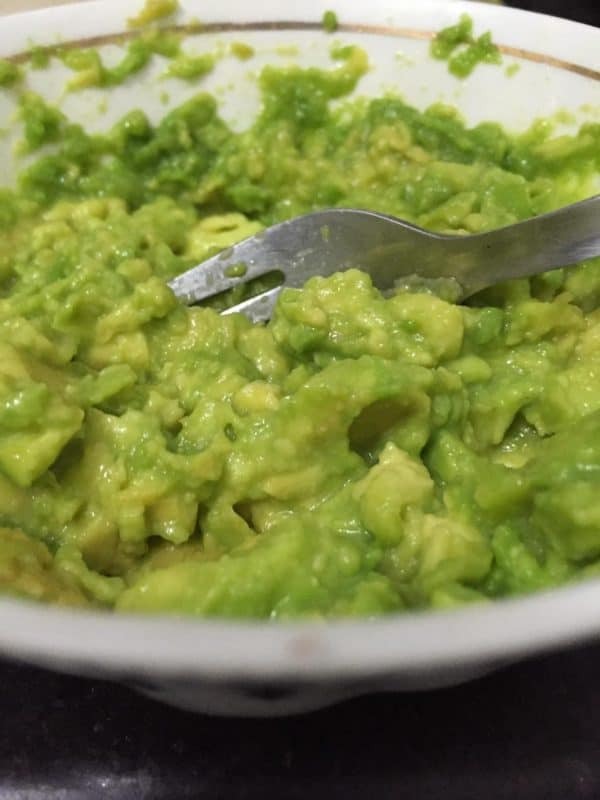 Mash the avocado pulp with the back of a fork, without making it into a paste. Its ok to have a few small chunks in the guacamole as this will give it the right texture. Stir in the lemon juice, onion and jalapeño. 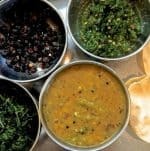 Reserve the tomato and the coriander leaves, to be added just before you serve. When the stuffing has been prepared and you are ready to make the quesadilla, put the finishing touches to the guacamole. Chop the tomato and coriander leaves. Add to the guacamole but do not mix. Season with salt and pepper. Set aside. Dice the bell peppers, onion, tomato. Crumble the paneer as you would for a bhurji (scrambled paneer dish). Reserve the remaining oil for making the quesadilla. Add the onions, sauté for a minute. Add peppers and tomato, salt and pepper, sauté for 3 minutes. Add the crumbled paneer, sauté for 30 secs, stirring so that the paneer mixes with the vegetables. Remove the cooked stuffing from the stove. Spray oil or daub a few drops of olive oil onto one side of each of 4 tortillas. Stack them on one another so that the oiled surface faces the dry surface of the next one. Set aside. 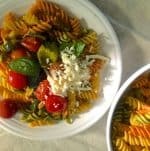 Heat a non stick skillet or a tava. I used a griddle pan as it makes nice brown stripes on the quesadilla. Spraya little oil or pour 1/4 tsp of oil on the surface. Place one tortilla on the heated skillet. Flip the tortilla after 10 secs on low flame. Spread a portion of stuffing onto half the surface of the tortilla. 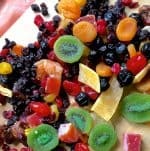 ( I usually divide the stuffing into equal portions, the same number of portions as the tortillas,). Cook on low flame for one minute, taking care that the tortilla does not burn. Fold the upper half of the tortilla over the half covered with the stuffing. Gently press the edges together with the spatula, so that the edges are lightly sealed. Carefully lift and turn the quesadilla over and let it cook for 30 secs. 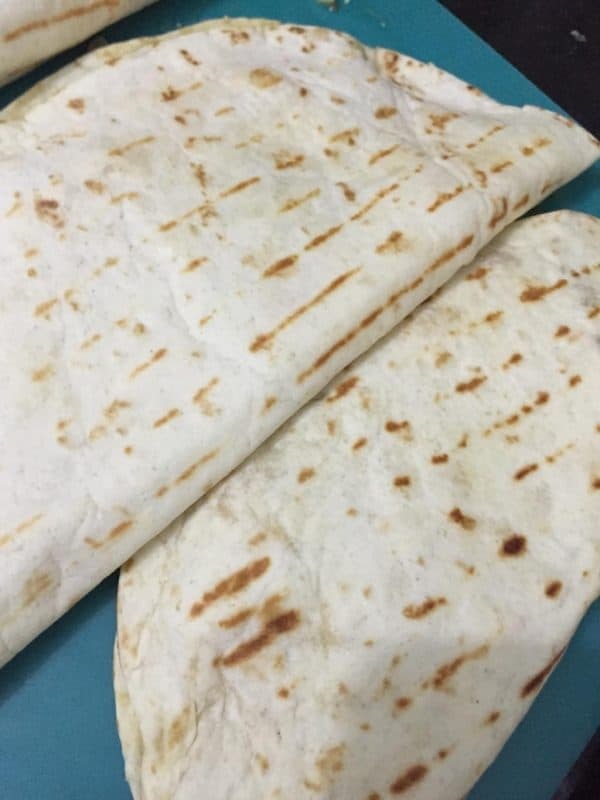 Remove the quesadilla to a cutting sheet or board and prepare the remaining quesadillas. Cut each quesadilla into halves or triangles. Stir the tomato and coriander leaves into the guacamole. Serve hot ( microwave for 30 secs if they are not hot) with guacamole and with sour cream or any salsa. Also with sliced red table radishes with a little lemon juice and salt and pepper. Cooking for the New Mom - Pathiya Samayal My Way!